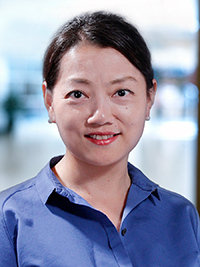 Lydia Xu is the Head of China Investment Banking at Baird, responsible for expanding both access to strategic and financial Chinese buyers for the firm’s sell side assignments, as well as advisory work from Chinese corporates and private equity firms looking to sell assets, make new investments or refinance debt. Lydia joined Baird in 2016 from BDA Partners where she was a Managing Director. A seasoned investment banker and finance professional with 15 years cross border M&A experience, she has advised on transactions across a range of industries, including manufacturing, chemical, auto and healthcare. Her clients have included Areva, AXA Private Equity, BASF, C.R. Bard, Donaldson, Hercules, Johnson Controls, Life Technologies, Magna, Millipore, Schneider and Siemens VDO. Lydia has a M.B.A from China Europe International Business School in Shanghai and a B.S. in Mathematics from Peking University in Beijing. Satoshi Matsumoto is a Managing Director and Director of Japan M&A. In his role, Satoshi leads the firm's cross-border M&A origination and execution efforts involving Japanese companies, working across all of Baird's industry groups and geographies. During his career, Satoshi has successfully completed 50+ M&A transactions totaling over $20 billion in value, the vast majority of which are cross-border deals involving Japanese companies. Prior to joining Baird in 2012, Satoshi was a Managing Director at Barclays Capital. Prior to joining Barclays in 2009, he was a Managing Director at Nomura Securities, which had acquired Lehman Brothers' former Asian & European operations. Prior to Nomura, Satoshi spent 11 years at Lehman Brothers in Tokyo and New York. Prior to joining Lehman Brothers in 1997, Satoshi worked at Long-Term Credit Bank of Japan. Satoshi has a B.A. in Economics from Keio University, Tokyo. Vinay is a Managing Director in Baird's Financial Sponsor Group, focusing on managing relationships with the European sponsor community, as well as a member of Baird's Global Industrial Investment Banking Team. Vinay joined Baird in 2011, bringing extensive experience in acquisitions, disposals and capital raisings for both private equity and public companies across the Consumer, Services, Healthcare and Industrials sectors. Prior to joining Baird, Vinay spent fourteen years at Hawkpoint, Goldman Sachs and Deutsche Bank. Vinay has a first class degree from Imperial College in London and is a qualified Chartered Accountant. Kiran joined Baird in 2004 and is a member of Baird's Business Services Group. He spends the majority of his time with companies in the Business Process Outsourcing / Outsourced Customer Care Industries. Prior to joining Baird, Kiran spent three years as an Associate at Salomon Smith Barney, where he provided financial and advisory services to corporate clients primarily in the energy industry. He receieved his MBA degree from The University of Chicago Graduate School of Business and graduated with a BS in Accounting from the University of Illinois. He is also a CPA.